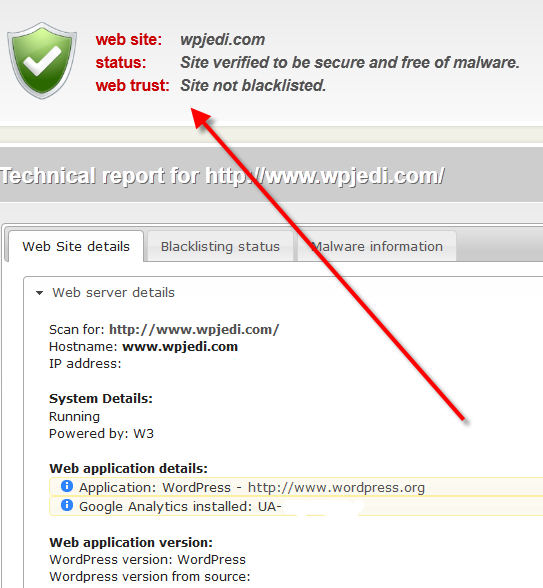 January 24th in Hack Prevention, Wordpress Plugins by Wordpress Jedi . 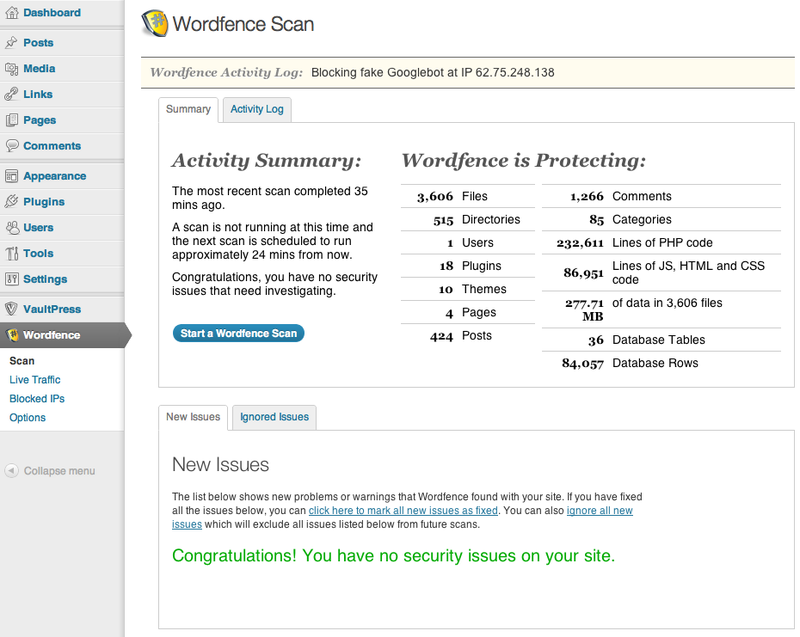 Wordfence Security: this plugin not only adds a firewall and virus scanning capability to your site but also scans core files, themes and plugins against WordPress.org repository versions to determine their integrity. Sucuri: the last time we were hacked, we relied on Sucuri to clean up our site. The service offered by these guys could help you identify hacks and security issues your site may be experiencing. The plugin for this service makes running scans easy. Sucuri offers website integrity monitoring, email/Twitter alerts, and malware cleanup services. 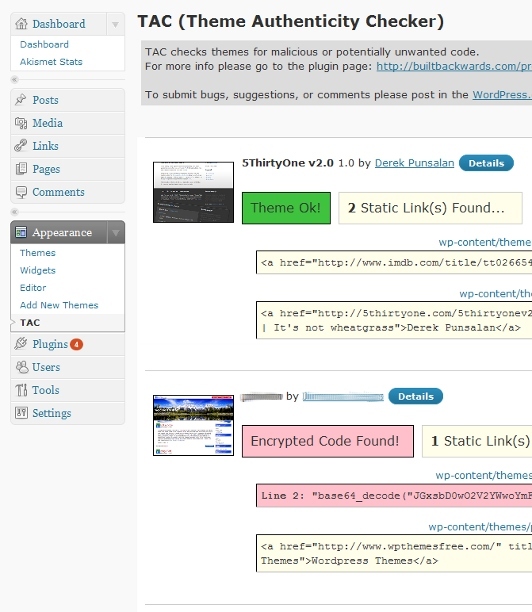 Theme Authenticity Checker: scans all your theme files for malicious and unwanted code. It also saves you time removing malicious codes. 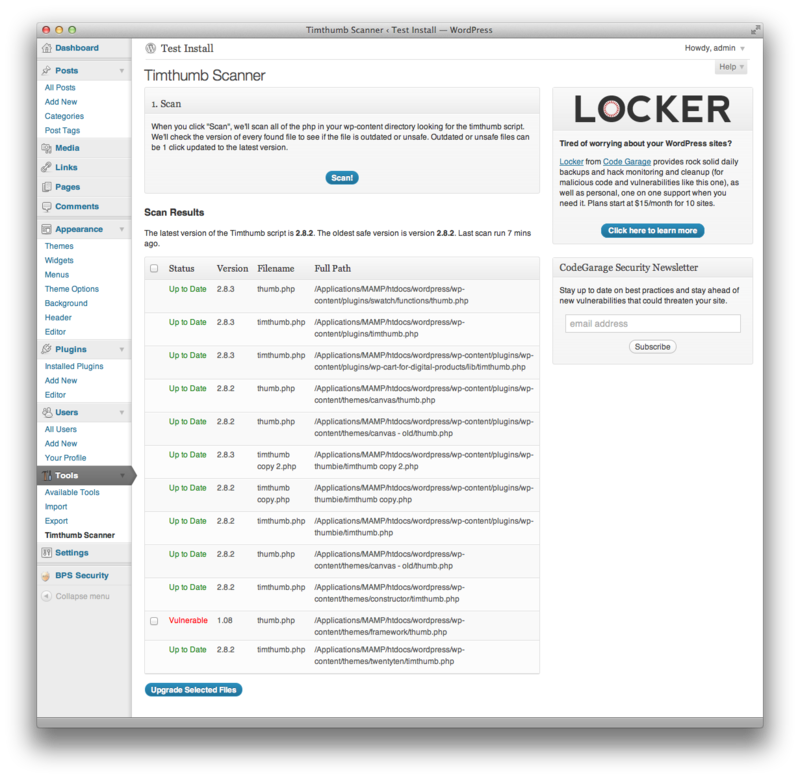 Timthumb Vulnerability Scanner: the last time we were hacked, it was due to a security issue within the Timthumb script. Had we used this plugin, we could have avoided that. Nowadays, we try to avoid themes that heavily use Timthumb. AntiVirus: another plugin you can use to scan your theme files for viruses and get notifications about your site security. Do you have any plugin suggestions? Please add them below.